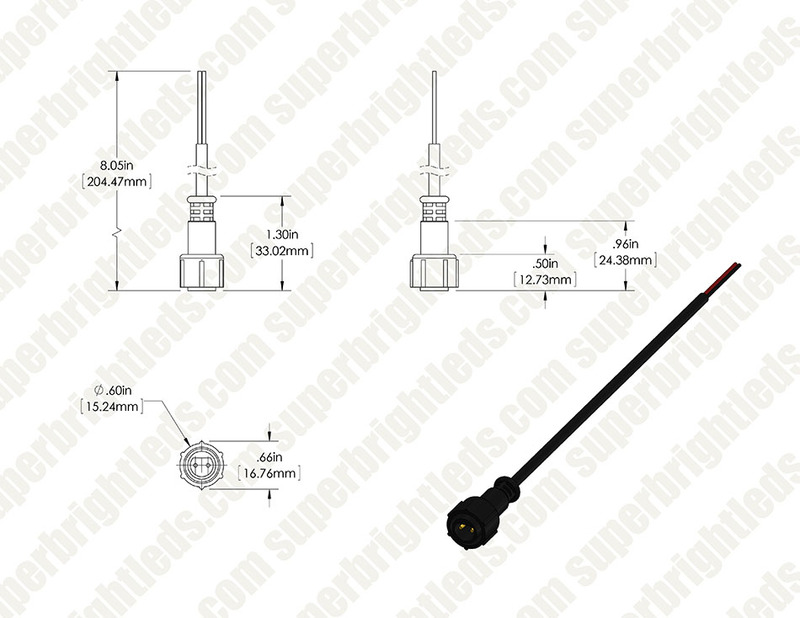 Rock Light to Pig Tail Connector: Shown Connected To Rock Light (Sold Separately). 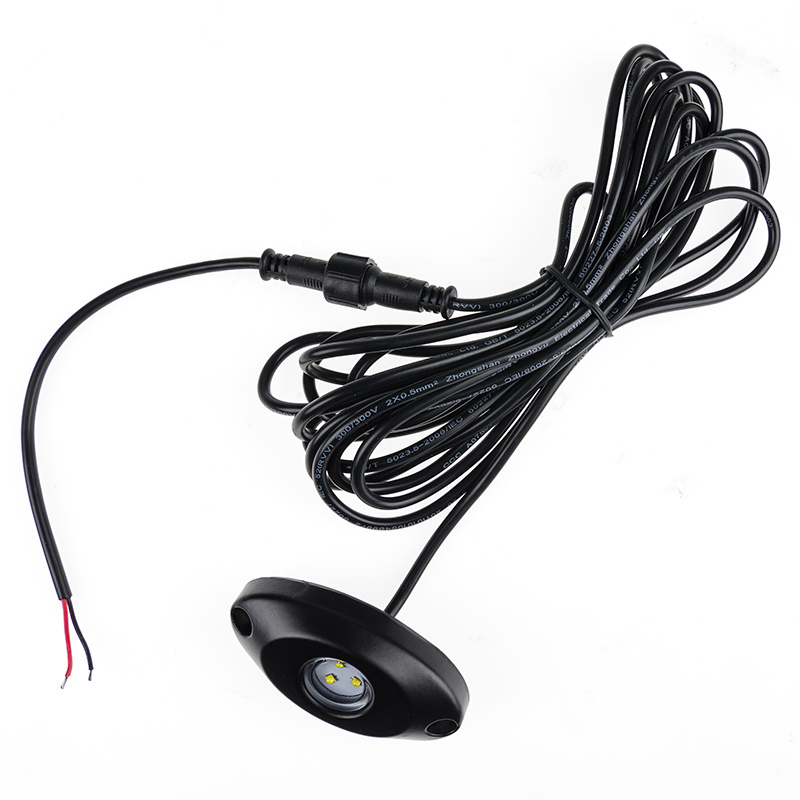 Rock Light to Pig Tail Connector: Shown With Weatherproof Rock Light Cap (Sold Separately). 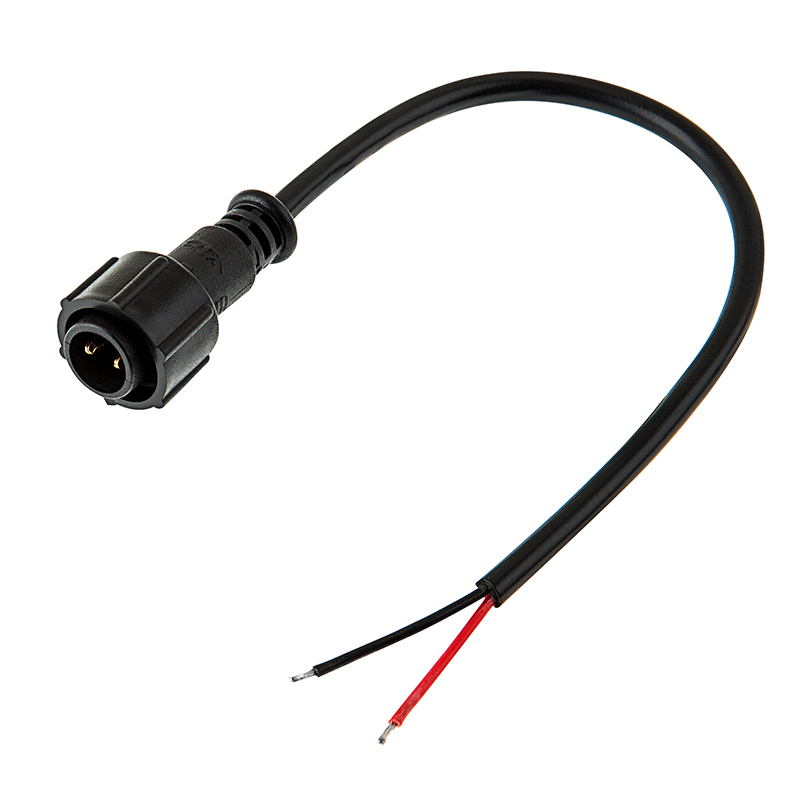 Use this 8" pigtail connector to wire a single LED rock light to your vehicle and eliminate wire splicing. 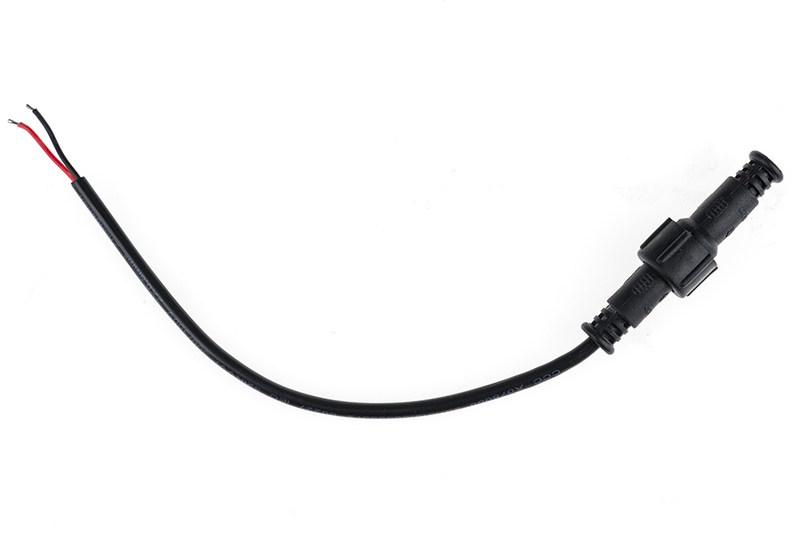 A male connector on the pigtail easily plugs into the female connector on your rock light. The 28-gauge wire is polarity sensitive; red is positive, and black is negative.